Four fire tenders are at the spot to douse the flames and no one was reported as stranded in the accident. 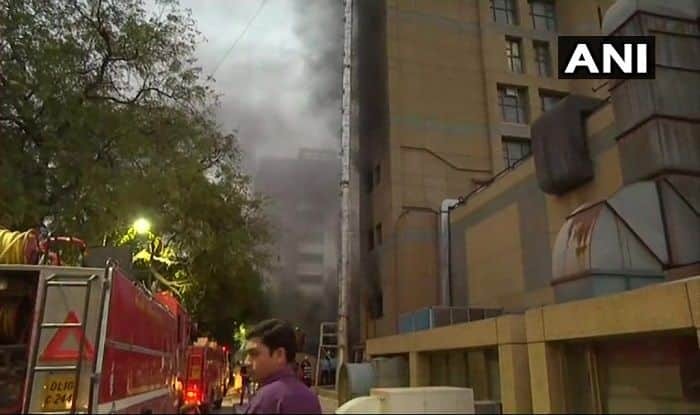 On February 12, a massive fire swept through a four-floor hotel in central Delhi’s Karol Bagh, killing at least 17 guests, including two people who jumped off the building in a desperate bid to save themselves. Prime Minister Narendra Modi tweeted, “Deeply saddened by the loss of lives due to a fire at Karol Bagh in Delhi. I convey my condolences to the families of those who lost their lives.” A majority of people died in the accident due to asphyxiation, stated fire officials. They added that there were some who succumbed to their burns.